The catastrophic large-scale landslide triggered by rainfall, destroying 40 houses and killing 118 people in Xinmo village, Maoxian, Sichuan, China on 24 June 2017. After the disaster, Sinotech(TAIWAN) used AW3D standard DSM to reconstruct and simulate the possible landslide influence area. The source area and volume of this landslide were valuated by post-event aerial image from UAV(China). 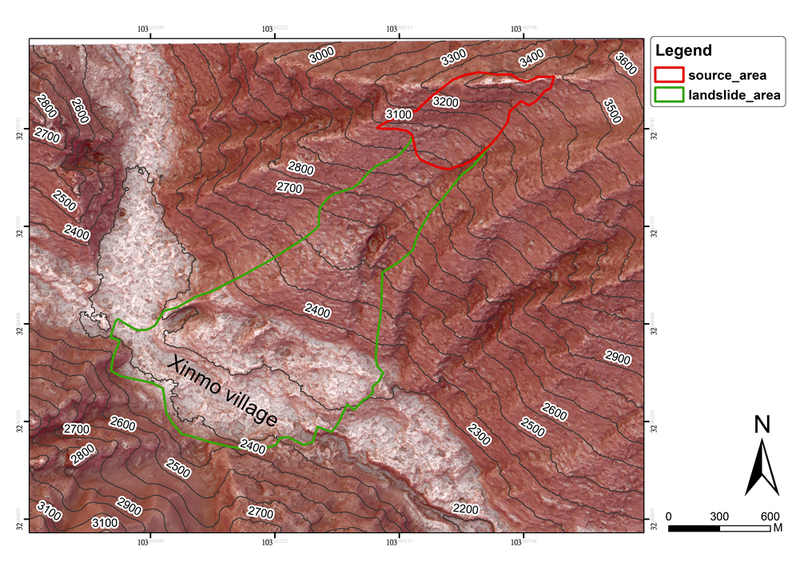 Some different input parameters based on the geologic condition and terrain are considered and optimized for RAMMS numerical simulation. The RAMMS simulation result shows that the runout distance is greater than 2.6 kilometer. According to the simulation, Xinmo village might be buried in 80 seconds after the landslide. In this case, the predicted depth on deposition area is 36 m and the debris reached to the other side of the Sonping creek. Consequently, a dammed lake was formed on the toe.